An unexpectedly short cruise today, as we set off for Vernonnet but decided to stop instead at Tosny, just across the river and only 3nm upstream from Les Andelys. The Navicarte showed a yacht pontoon behind an island where the main channel went the other side. We decided to investigate and found a rather run down old barge at a jaunty angle to the river. 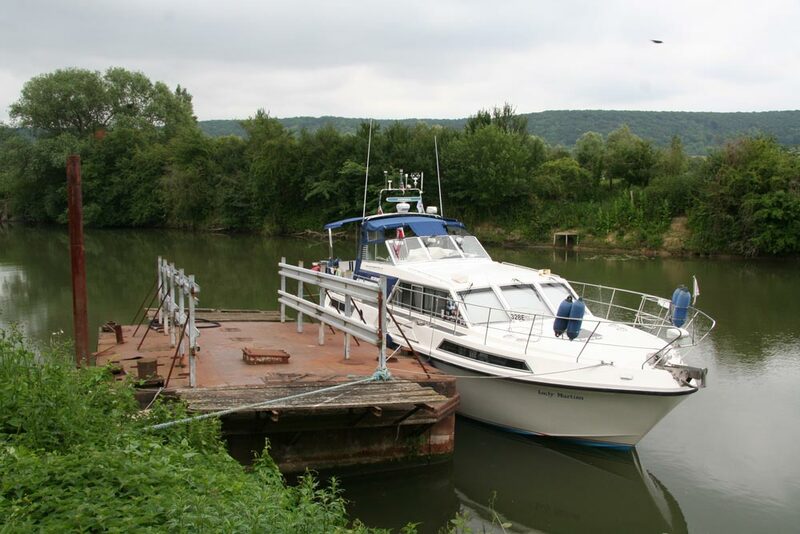 It did allow us to moor with our stern sticking into the river, and as we were on an unused arm of the river we decided to take advantage of a peaceful spot which would be undisturbed by passing barge traffic. Our Les Andelys information had indicated another war museum here so we set off on bikes to find the II Mondial Guerre Musee in the Tolysland Park. It was up and down several hills but we did find it, and were greeted warmly by the old veteran on reception. 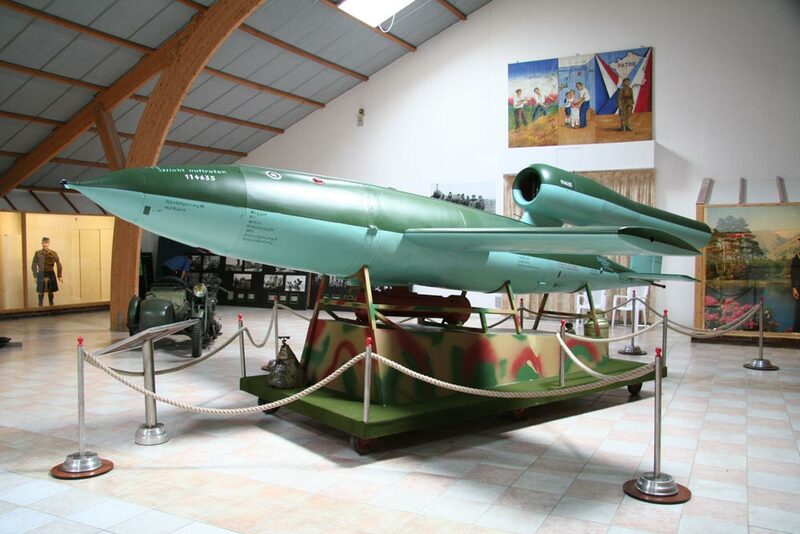 Their star attraction is a V1 rocket, recovered from marshland in northern France, having prematurely crash landed. Although the fuselage was largely reconstructed, much of the equipment was original. The quiet backwater was a popular spot for anglers who had constructed special platforms along the bank. 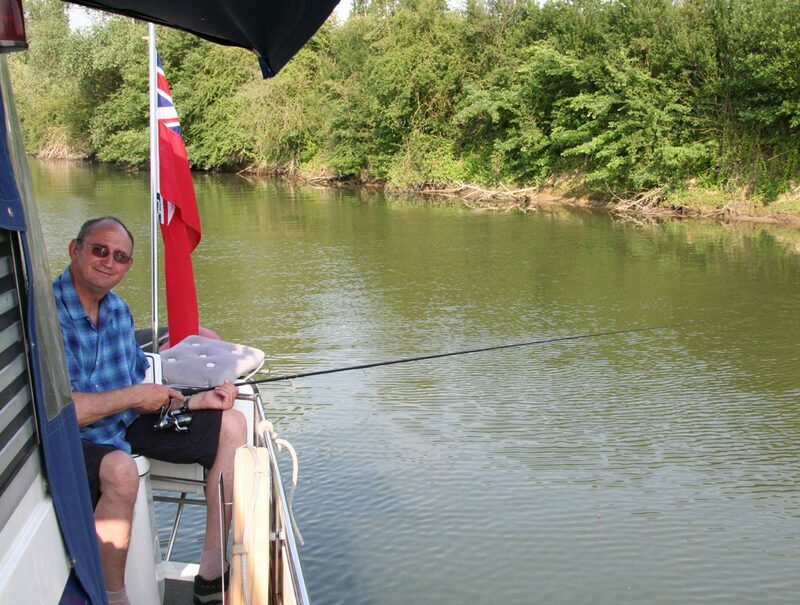 It was such a peaceful spot that even the skipper was motivated to get his fishing rod out. He didn't catch anything, but it kept him quiet for a couple of hours!